After a long day at the office, with a good steak dinner, or when watching Scandal, I love to enjoy a nice glass of wine. I'm obsessed with trying new wines (enjoying responsibly of course) and can definitely say I'm one of "those" people who bases her purchase off the label. What can I say, I love to display a fun looking bottle on the bar cart. 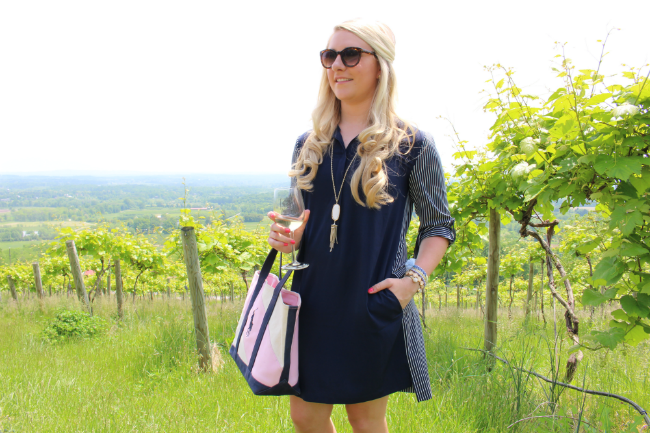 So it couldn't be more perfect that I live right outside of Virginia Wine Country. 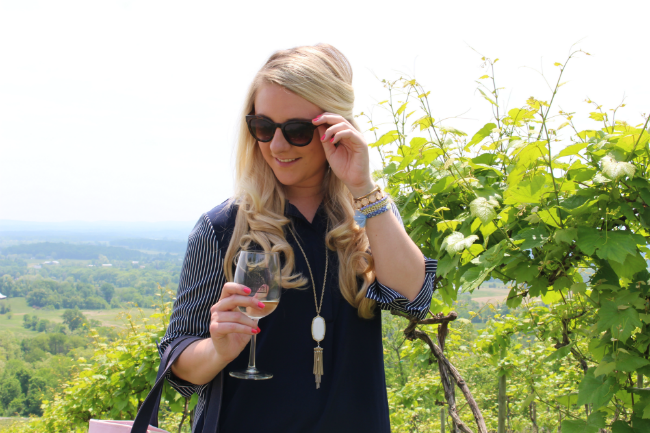 If y'all aren't familiar with Northern Virginia, it's probably best known for being home to some of the greatest wineries in the South/East Coast. 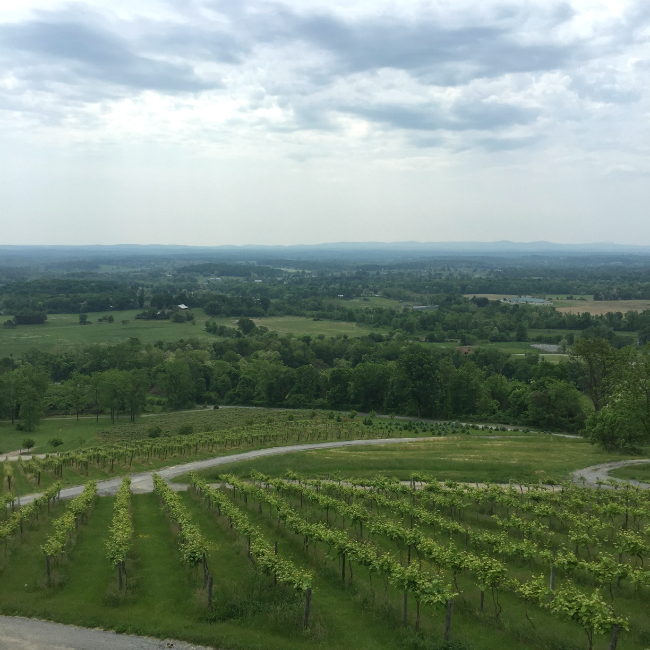 There are numerous wineries spread out across Northern Virginia, and most within a short hour or two drive from DC. So they make for the perfect daytime excursion. 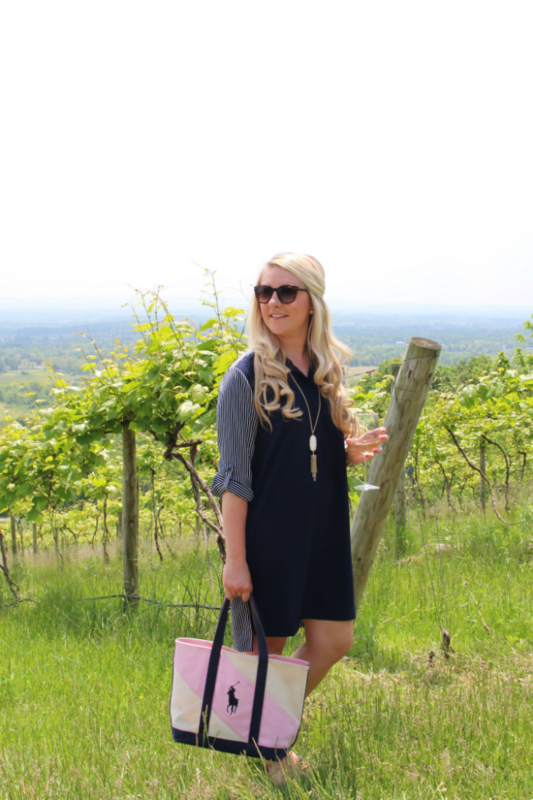 Over this past weekend, my good friend and fellow blogger, Alicia, organized a day trip to some of the wineries in the area. 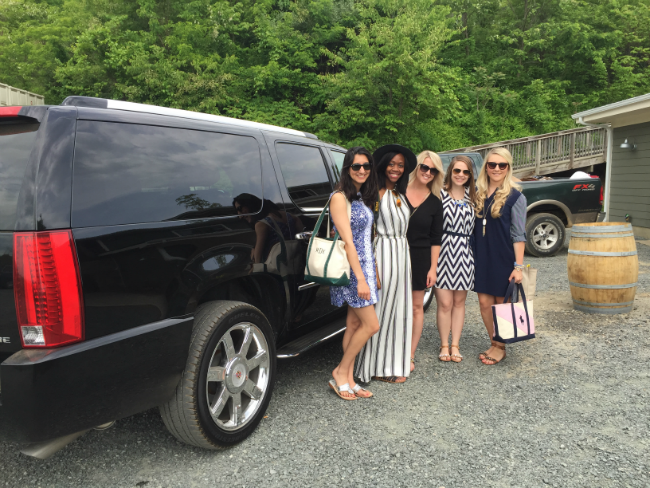 She coordinated top notch transportation from Reston Limo; a Cadillac Escalade... complete with our wonderful driver Calvin, plus goodie bags from Reston Limo and Bluemercury! It was the perfect welcoming and way to start our day! I went with four other DC bloggers and great friends (Alicia + Katie + Monica + Ashley). We chatted all things blogging, caught up on each other's lives, and shared quite a few laughs. 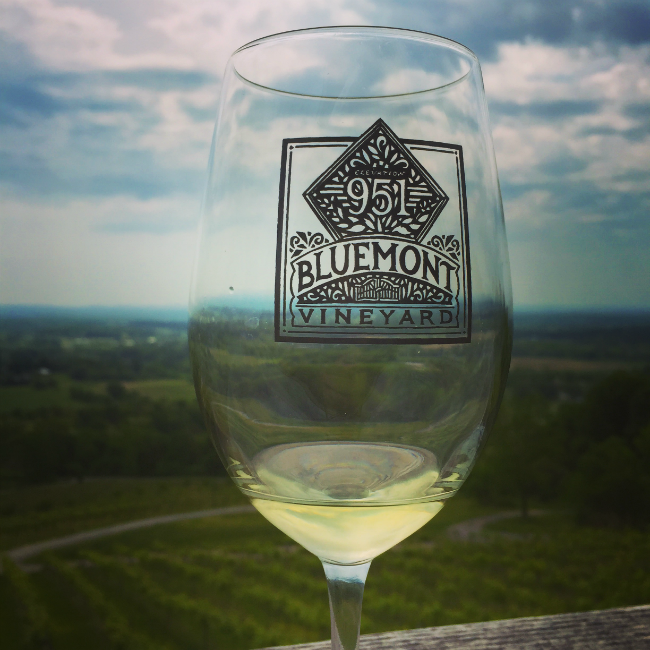 Our first stop was Bluemont Vineyard. Y'all the view was INSANE!! Absolutely gorgeous! It was hard to believe that we were only 45 minutes outside the city. Supposedly on a clear day you can see the Washington Monument from there. Unfortunately it was a pretty cloudy and hazy day to see that far, but we still got a pretty good range. We decided to do a wine tasting and order some baked brie. Let me tell y'all, each tasting we did was wonderful. I didn't have a single flavor that I didn't like. 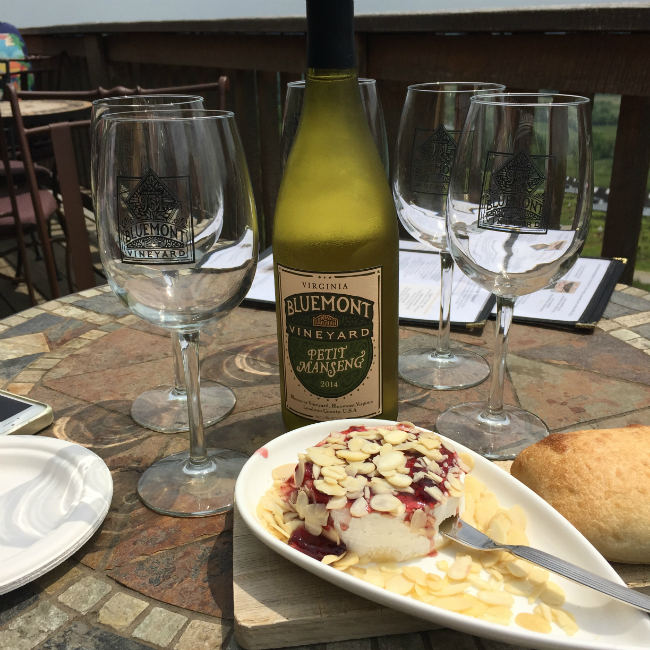 I'm normally not a red wine fan, but really liked the ones at Bluemont. After basking (more like baking) in the sun, fighting off some bees, taking outfit photos and enjoying the amazing scenery, we packed up and headed off to our second location. The second location wasn't too far at all. We pulled up to gorgeous red barns, horse stables and LIVE music playing at Sunset Hills Vineyard. At this location we were allowed to bring our own food. Each of us brought various things to share and we posted up at a picnic table near the music. We bought several bottles from Sunset Hills (the Chardonnay and Rose) and both were wonderful. We enjoyed the gorgeous weather and great atmosphere. I loved this location because it had a very family friendly environment. With the music, and large green spaces. Several families and groups were playing soccer and various outdoor games. It was a really fun location. 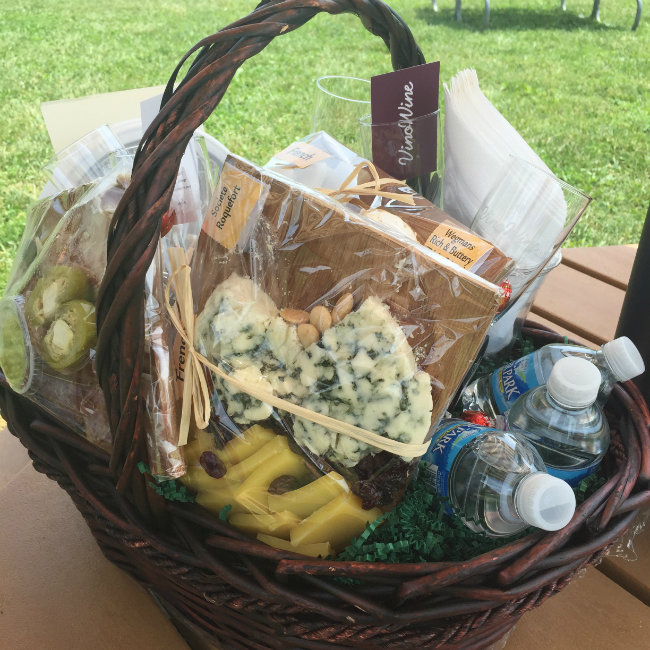 While at Sunset Hills, we broke into our fabulous goodie basket, courtesy of VinoWine app. The basket they put together was AMAZING!!! They really thought of everything... down to the napkins and water!! Staying hydrated out in the sun all day is key!! They provided meats + cheeses and plenty of crackers. Even a bottle of champs for the ride home! 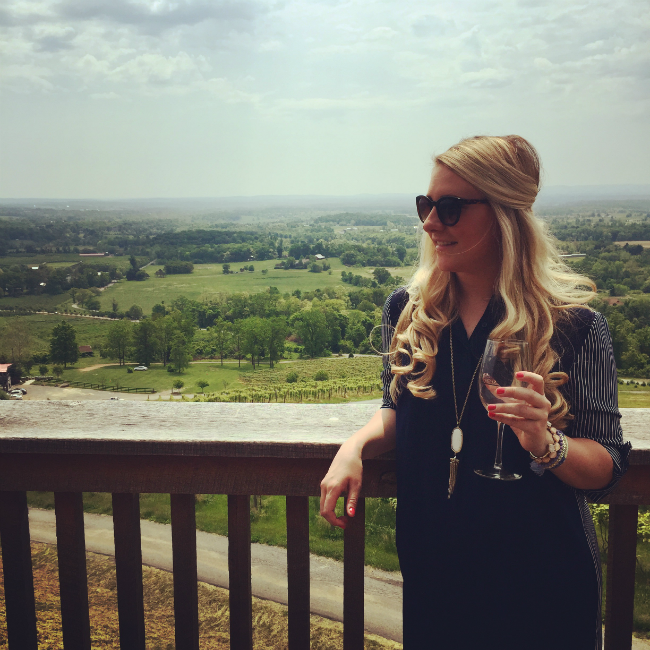 If you're thinking of visiting Virginia's Wine Country, definitely checkout the VinoWine app. As well as reach out to Reston Limo for all your transportation needs. Nobody needs to be drinking and driving :) Let me know if you have any questions about either winery or the area in general. 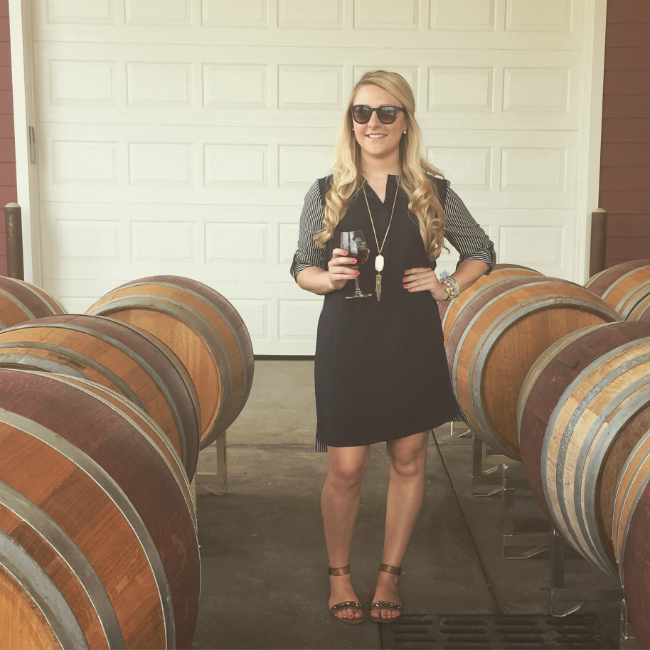 Be sure to checkout Alicia's blog post too, for plenty of tips in how to plan your own day at the wineries! How did I know that dress was from LOFT?! 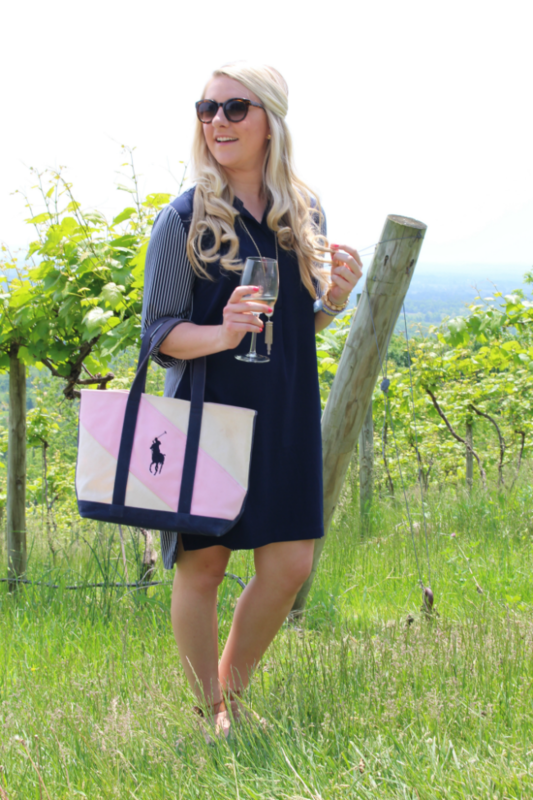 ;) It's the perfect easy breezy look for touring wineries. It looks like so much fun!! I need to do that this summer!